Be sure to also check out the many photos that have been sent by customers in our gallery section. Affordable custom lettering opens up a whole new arena of decorating possibilities. Do you have a boring foyer that you've been dying to liven up? A bedroom or bathroom that needs an extra special flair? 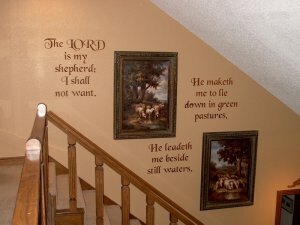 Your walls, crafts and furniture can be transformed into elegance with a charming welcome, word, quote, scripture or prayer. While custom lettering can look awesome on its own, custom lettering can also be used to accent lovely framed prints, comfy wall quilts, dried flower arrangements, mirrors, clocks, windows, or in combination with our other stencil designs. 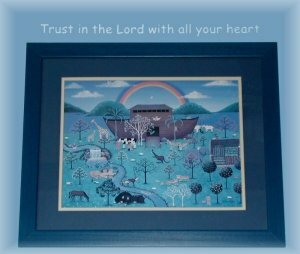 Kid's rooms are a great place to start by stenciling a favorite song, verse or rhyme. Children and teens love having their rooms, doors, furniture and personal belongings adorned with their names. What child wouldn't like the name of their favorite sports team, athlete or rock band branded on their walls? Custom lettering doesn't have to always be serious either. 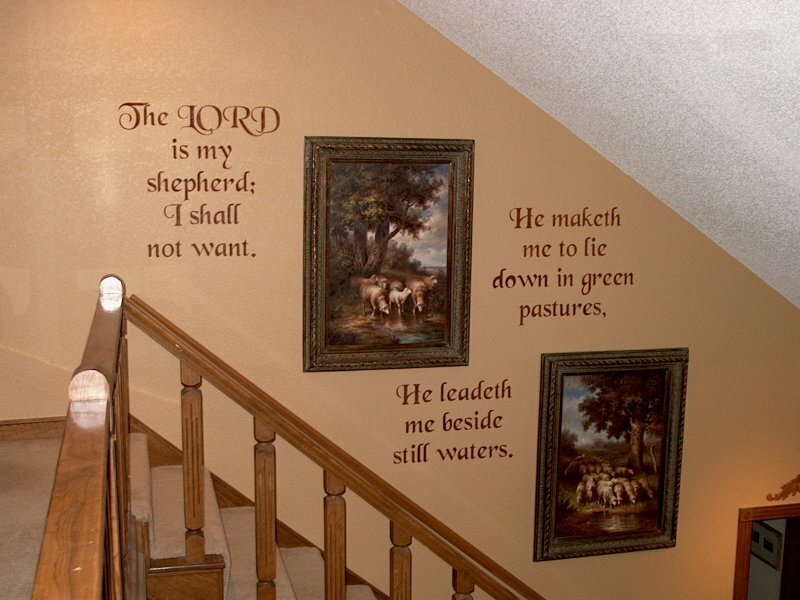 Amusing sayings or quotes are a great way to add a touch of laughter and humor to your home. Let your imagination run wild! Create and have fun!